For those of you who don’t live in Chattanooga, and for those of you who don’t have Facebook, here is some fun news from the Chattanooga Times Free Press. Pastors in the area are sometimes asked to contribute so a section of the paper called “Voices of Faith.” Today’s Saturday edition featured a slightly re-written post I wrote for this blog a little while back. It was the third of three entries I submitted – the first two made my stomach upset the more I thought of them. I don’t have enough time, with all the other stuff going on this weekend, to write about everything of which I have an opinion. There’s just too much in the news. You decide. I will report. Now, if you would like a few suggestions, just consider what has been in the news over the last few days and weeks. Maybe one of these topics would interest you. The Republican and Democrat Presidential debates in America. Policemen jerking unruly punk kids out of their desks in school. Policemen getting killed for being policemen. China ends one-child-only policy, but only ups it to two. Miley Cyrus and her upcoming naked concert. A football coach getting fired for praying after games at the 50-yard line. School shootings and gun-free zones. NCIS and Gibbs’ new look. Chinese and American tensions in the South China Sea. The possibility the Russians are going to cut internet cables in the Atlantic. My DVR is full and erasing things I want to see but don’t have time to watch. How to keep trick-or-treaters away from your front door. The American public education system and Asian exchange students. Sharing the news of a missing pet on social media. Posting embarrassing photos of your teenage children when they were young. The horrors of being in the driver’s seat at a drive-thru with 6 other people in your minivan trying to tell you what they want, and all of them being females who can’t keep anything simple. And then there’s this. Aren’t you curious? What do you want me to write about (excluding ending sentences with a preposition)? This evening I stopped by Krispy Kreme to buy some donuts and coffee for my wife and me (Actually, the coffee was for me – she hates coffee). We did so in order to celebrate something special, but I can’t tell you what the special thing was – it was just special. Anyway, we got donuts…I got coffee. That’s all you need to know about that part. By the way, tonight was the first night I ever saw a deformed donut come off the line. 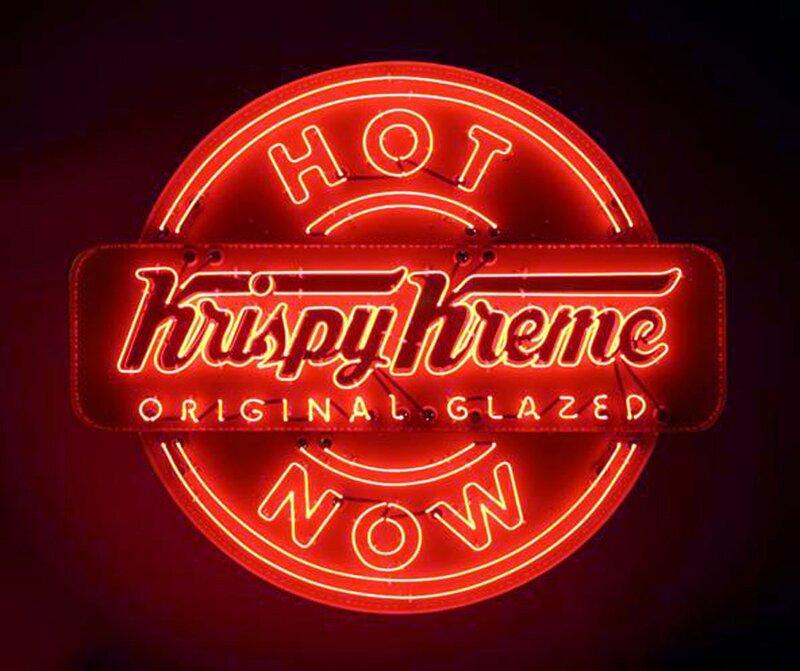 It made me wonder if Krispy Kreme had a museum somewhere to keep the really unique ones. I almost spit the entire contents of my mouth – the previously-mentioned black coffee – onto my steering wheel! Sure, I’ve taken selfies with a monkey, even made whole videos (see below)! And yes, I’ve even taken a few calculated risks – like the time I filmed on the beach…and at the zoo…and in a real hospital…etc. But a tiger? Only in Russia. Here’s the story. Just don’t be drinking coffee when you read it. Good Monday morning, world! I sincerely hope that your Monday is turning out to be a good one, not the stereotypical kind that signals impending doom. And since I want you to have a good day and a great week, I’m going to give you some important information – inside information – which will make all of your days more peaceful, less stressful, and far less depressing: don’t read the news. Dear friends, followers, and folk of all persuasions, listen to someone who knows: trust the news about as far as you can throw it – with a bad arm, that is. Seriously, when you pick up a news paper (they still have those, actually), or watch the news on TV or the internet, never take for granted that you are getting all the news worth hearing, or even the truth, for that matter. Media outlets are businesses, and businesses have to make money, a profit, to stay afloat. Therefore, whatever kind of news the executives think will capture your attention, that’s the news they’ll report. It doesn’t matter what it is, just as long as it is sensational enough to keep you coming back to consume update after juicy update. Through the years I have learned some painful lessons about the news media. Most of the time, if not all of the time, they are quick to release a story, even if they have to make up some of the details. The longer the media can carry a story without adequate details, the longer they can keep people coming back for answers they rarely give. Know for certain that whatever is on the news is what is meant to get your attention. If it strikes a nerve, makes you angry, or causes you disgust, you will pay attention. Many times this means giving vague details meant to stir up arguments on social media. The longer they can keep people talking, arguing with each other, making judgmental accusations, and playing armchair-attorneys, the better. Look, long before there was a CNN, a FOX News Network, or illiterate Facebook threads, the Bible contained an antidote for the modern news story. Here’s a suggestion: Don’t play along, and keep your wood to yourself; the innocent and the victim will thank you. My apologies to all those who have sent me awards. Even though I have appreciated them, I have never found the energy to follow through with all the demands: list this or that; link to all the best blogs with under 15 followers; reveal ten things about your feet; etc. 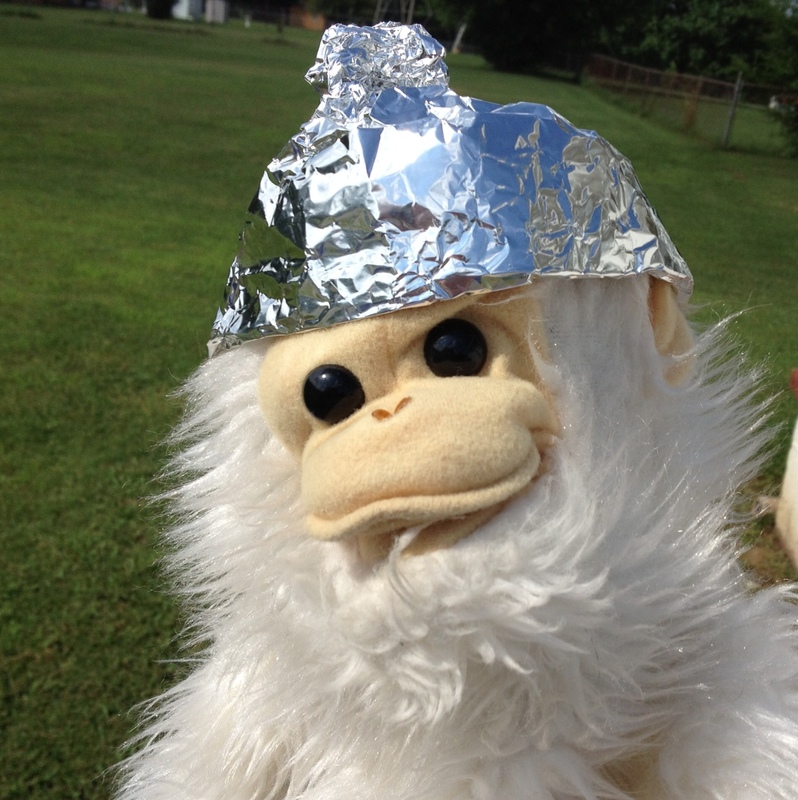 Therefore, in honor of all those who have bestowed upon this blog some generous and well-meaning widget, I will list some facts about me and this Friday (today) that were heretofore unknown. Again, my apologies, both for the past and what you are about to read. I am wearing shorts, but my knees are cold. I am wearing a shirt that a friend was going to throw away, but I thought he was an idiot, so I kept it. That could make me a dumpster-diving bum, but, in reality, I stole from what he wanted me to take to charity. Sue me. My wife gave me 30 minutes of un-interrupted time to write this post. I ticked off my daughter for informing her that I, the father, the one who puts a roof over her head, has the dadgum right to filter what musical trash she desires to pipe in. Again, sue me. I hate pimento cheese, but my daughter loves it. I made a sandwich for her, on toasted bread, cut it into four squares, and then sprinkled them with red pepper. She’s not as ticked any more. I am totally looking forward to preaching through the book of Acts! I know there is a jar of peanut butter in this house, but I can’t find it! And that makes me angry! There are times when a man just needs a peanut butter sandwich, dang it! I indoctrinate my children, and I’m proud of it – it’s called loving them. I am a very nice guy, but I could snap in an instant. I might even be looking for an excuse. I have a problem with comparing myself with others whom I deem more successful, but I’m working on it. I still have six minutes to work on this post. Yesterday was an emotionally difficult day, but what else is Thursday good for? Today is better, thank God! At this moment I am sitting here thinking about how many more of these points I should make, along with how this must be boring whomever is reading this. I will take it to 15 and quit. I ate a left-over cheese burger made with 90% lean Angus beef. My wife grilled them the other day, so they needed to be eaten. Essentially, I ate almost/but not quite need-to-be-thrown-away hamburger. I need new tennis shoes – these have holes in them – but that won’t keep me from walking with the Lord. Have a great weekend, everybody! War a good warfare, keep the faith, and leave this life having a clear conscience and no regrets (1 Timothy 1:18-19). Once the weekly community paper came out yesterday, I was famous for a moment or two. Just this morning, as I was paying for a cup of coffee at the gas station, the lady behind the counter asked, “Weren’t you in the paper?” “Yes, that was me,” I replied. But I still had to pay for the coffee. 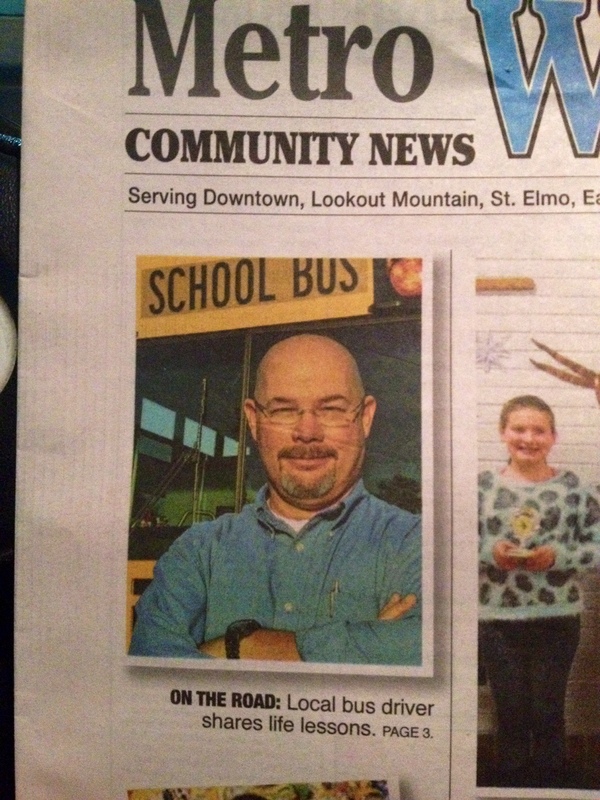 The kids on my bus were thrilled to see their bus driver in the news paper. “You’re famous!” “We’ve got a famous bus driver!” One little girl even took my copy of the article I had picked up that morning and never gave it back – she was way too excited, poor thing. So, yes, I was on the front page of a little paper, got a friend request on Facebook from someone locally famous, and paid for my own coffee. Amazing what can happen when you write a book. But no matter how famous I become down here on this earth, fame is fleeting. Next week there might be a student, parent, or teacher who will comment on my recent notoriety, but in a few days it will be history – I’ll be non-famous again. What matters most is that my name is not written down on the pages of some local rag, or even the New York Times best-seller list (don’t I wish), but that my name is written down in heaven (Luke 10:20). I’ve had my 15 minutes of fame a few times over, and hardly nothing remains to show for it. On the other hand, however, my name has been written in the Lamb’s Book of Life, and that’s notoriety that will last forever – and I didn’t even do anything to deserve it.